Its 5 pm on a Sunday, so you decide to binge-watch your favorite TV series. You go to Netflix and click on the episode, but are let down by slow speeds and endless buffering! Later, you realize that your Internet is working fine and you can open other websites without interruptions. What could be the reason behind this? Well, it’s very likely the streaming service is being hit by a DDoS attack. Now, how to prevent a DDoS attack? And what does it take for effective DoS attack protection? Before we get to that, let’s discuss what does DDoS means. A DDoS attack is a type of denial of service (DoS) attack where a network of compromised systems are used to target a single system, application, or network so that it can be made unavailable to the intended user. Let’s suppose that you’re trying to park your car in your driveway, but a group of unknown people are standing in your way. They’re there for no reason, and blocking your access, even though you have a good reason to be there. That’s exactly what a DoS attack is like! A web server is flooded with illegitimate requests from a single system to either crash or slow down the server. As a result, legitimate requests aren’t processed by the web server which denies authorized users access to a website or computer. DDoS attacks are a variation of DoS attacks. The additional ‘D’ in DDoS stands for ‘Distributed’ – this means that rather than a single system sending all the illegitimate requests, they are distributed across a network, usually consisting of thousands of compromised systems. Volume Based Attacks: The goal of volume based attacks is to inundate the bandwidth of a targeted site. Protocol Attacks: The goal of protocol attacks is to exploit server resources or intermediate communication equipment like load balancers and firewalls. Application Layer Attacks: The goal of application layer attacks is to over-exercise certain features or functions of a site in order to disable them. UDP Flood: A type of DoS attack that targets random ports on a network or computer with User Datagram Protocol (UDP) packets. SYN Flood: A type of DoS attack that exploits known weaknesses in the Transmission Control Protocol (TCP) connection sequence, called the “Three-Way Handshake”. ICMP Flood: A type of DoS attack that overwhelms a host with Internet Control Message Protocol (ICMP) echo request packets. HTTP Flood: A type of DDoS attack that manipulates seemingly-legitimate POST or GET requests in order to target web applications and servers. Smurf Attack: A type of distributed denial-of-service (DDoS) attack that attempts to flood a host by exploiting Internet Protocol (IP) and Internet Control Message Protocol (ICMP). Slowloris: A type of denial-of-service (DoS) attack that overwhelms a targeted web server by keeping multiple HTTPS connections open for long periods of time. Ping of Death: A type of DoS attack that involves deliberately sending oversized or malformed IP packets in order to freeze, crash, or destabilize the host. Zero-day DDoS Attacks: A type of DDoS attack encompassing all new or unknown attacks that target vulnerabilities for which no fix or patch has yet been released. Why Do Businesses Need DDoS Attack Protection? 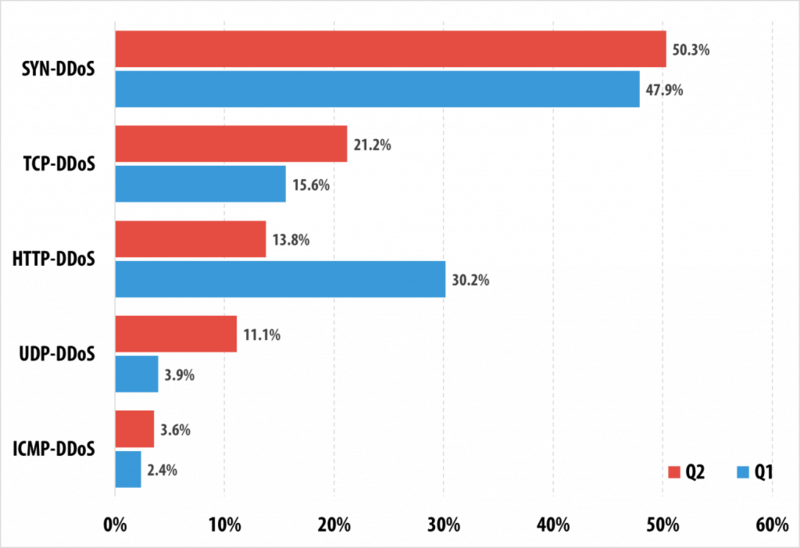 DDoS attacks continue to be a nuisance for online businesses and their customers. Businesses are far more likely to face a DDoS attack because of their sheer size, and of course, the tremendous amount of data they hold. According to a report from Kaspersky Lab, 33% of businesses faced a DDoS attack in 2017 – up from 17% in 2016. What’s more is that these attacks were targeted at businesses of all sizes. Of those hit by DDoS attacks, 20% were small businesses, 33% were small-to-medium sized businesses, while 41% were enterprises. Without adequate DDoS attack protection, a notable DDoS attack can cause stern consequences for any business, regardless of their industry. In addition to huge monetary losses, companies also have to deal with loss of business opportunities, damaged public image, and eroding customer trust. Why Do Gamers Need DDoS Attack Protection? 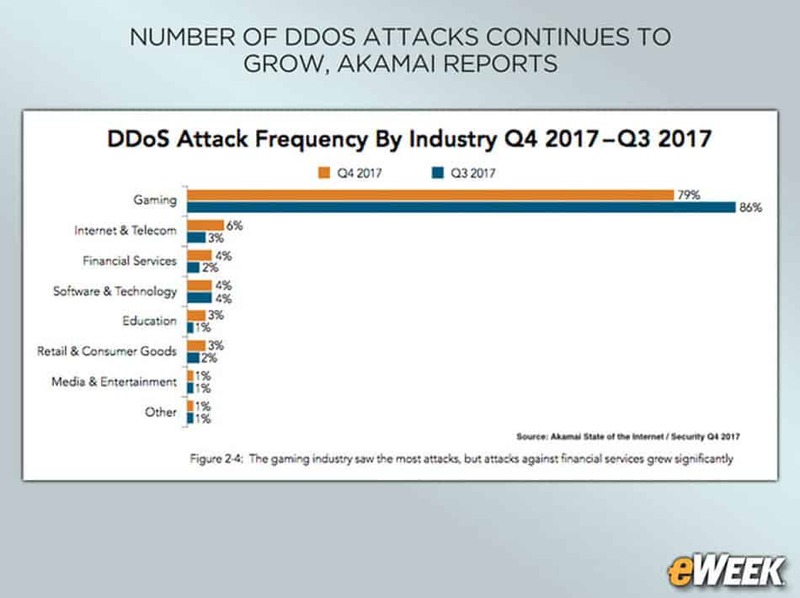 According to Akamai’s 4Q17 State of the Internet/Security report, 79% of DDoS attacks were aimed at gaming companies. Over the recent years, gaming has shifted toward an online model — both in massive multiplayer online and single-player experiences. This has made continual connectivity critical to the business model of gaming companies. But online gaming platforms are highly vulnerable to latency and connectivity issues, which makes them ideal targets for DDoS attacks. Therefore, it doesn’t come as a surprise that gaming companies have been hit by some of the greatest and extensive attacks on recent record. DDoS Attack Protection: How to Stop DDoS Attacks? A DDoS attack sends thousands of requests to a targeted server, which causes an unusual huge spike in traffic. The normal traffic is mixed with flooding traffic, overloading the server with more traffic than it can handle. 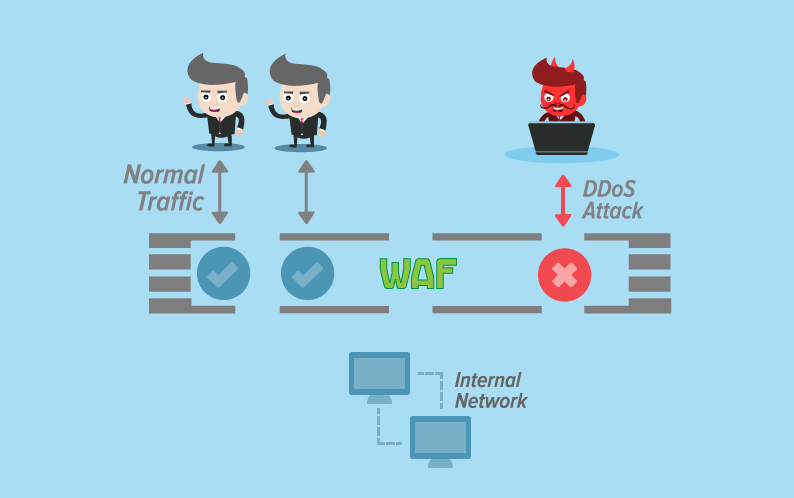 Therefore, the best way to quickly detect a DDoS attack is to actively monitor the traffic levels and stay on the lookout for any unusual traffic increase. It’s a good idea to have more bandwidth available than you actually need. After all, not only does it give you extra time to identify and mitigate the attack, but also gives the server more room to accommodate the unprecedented rise in traffic. The more bandwidth you have for your website or gaming server, the more DDoSers must do in order to clog your Internet connection. You should update your operating systems, security-programs, and other important software as soon as fixes or patches come out. This mitigates the risk of a DDoS attack as the potential loophole in security is filled with a new update. Keep in mind that the longer you take to update the software, the more vulnerable you’re to a DDoS attack. A dedicated VPS will provide your online business or gaming platform with more resources, bandwidth, and security. Your website or gaming server will have its own space and unique IP address, isolating it from any sort of cyber attacks like DDoS. PureVPN offers private servers with cutting-edge cybersecurity solutions to give you complete control and peace of mind. By using a strong firewall, you can stop unwanted network access and stay protected from the different types of DDoS attacks we’ve mentioned above. Firewalls are the first line of defense for your online store or gaming server as they prevent unauthorized access. We’d recommend opting for a proxy firewall system as they act as intermediaries between networks, making it difficult for a DDoSer to attack you. Content delivery networks alleviate the symptoms of a DoS or DDoS attack by absorbing large amounts of data. In the event of an attack, all the traffic is soaked up by the CDN’s extensive network of servers so that it never gets to you. Using a CDN will not only protect your website against huge spikes in traffic, but also increase page load times significantly. With PureVPN, all your Internet traffic is routed through an encrypted tunnel, masking your IP from any sort of surveillance. A DDoSer will only be able to see the IP of the VPN server and so they will not be able to flood your network – if they can’t see you, they can’t attack you! The best part of all, PureVPN also provides DDoS protection via dedicated IPs from Australia, Canada, Germany, New Zealand, Netherlands, UK, US, and France as a paid add-on. DDoS attacks are a huge concern in today’s digital age, and they continue to grow in intensity and complexity every year. The methods used by DDoSers to take a website or server offline are constantly evolving. However, by combining the security measures discussed above with smart behavior on the Internet, you can protect yourself from DDoS attacks and avoid becoming part of a dangerous botnet. 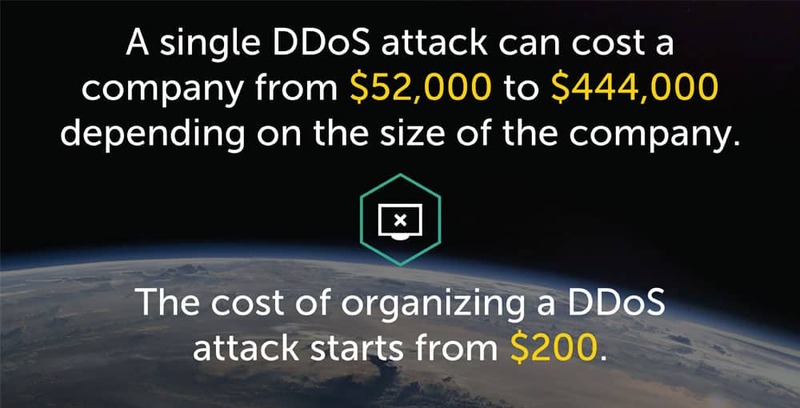 How do you keep yourself secure from DDoS attacks? Feel free to let us know in the comments section below!